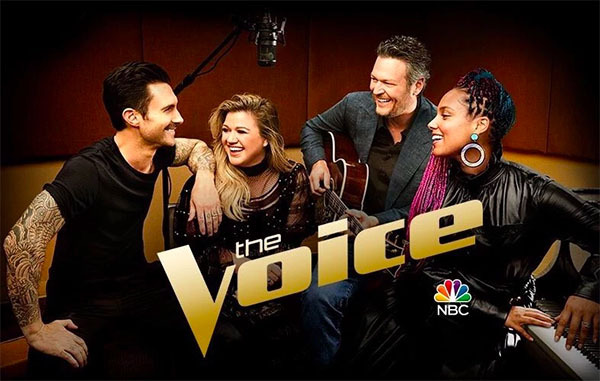 The Voice Season 14 Blind Auditions continue tonight, Tuesday, March 6, 2018 on NBC. The all new season of The Voice returns tonight. Adam Levine, Blake Shelton, Alicia Keys and Kelly Clarkson serves as coaches while Carson Daly as host. Last night, the show feature great audition performances from Christiana Danielle, Reid Umstattd, Jorge Eduardo and Johnny Bliss. Watch here. The Voice Season 14 airs Mondays and Tuesday at 8/7c only on NBC. The show is also available to watch via NBC’s official live streaming channel. Keep locked on this page, The Voice 2018 Blind Audition 4th episode recap and videos will be added below.